This is just sad to report! 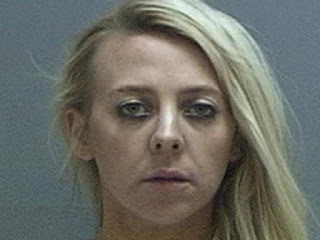 A woman who was shot to death in Utah while making Christmas decorations with her boyfriend's young children was allegedly killed by his ex-wife, according to Sources. Lisa Vilate Williams had been in a relationship with Travis Cook, her alleged killer's ex-husband, for six months. She was making homemade festive ornaments with Mr Cook's three-year-old twins on 25 November, when Chelsea Cook entered the apartment and shot her in front of the children. Mr Cook took his ex-wife's gun away and pinned her to a wall to stop her escaping until police arrived, officials said. The 26-year-old met Travis Cook at the bank where they both worked. The relationship resulted in months of online and in-person harassment from Chelsea Cook, according to the victim's sister, Bekah Williams. The abuse began in June and included bullying on Instagram and in-person confrontations at the bank, as well as harassing phone calls made from the school where Cook worked as a health teacher.